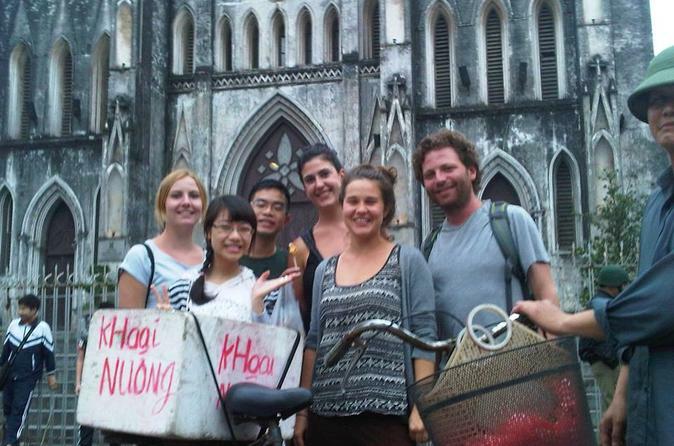 Taste and experience the lifestyle of the locals on this small-group cyclo adventure tour. Visit various food stalls while walking through the villages and see the daily activities of the immaculately dressed local people gathering in groups to eat on countless street-side shops, smoking pipe tobacco and more. 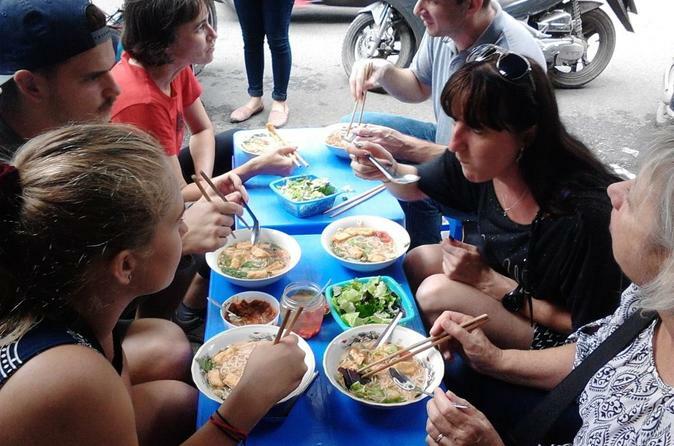 Taking a motorbike food tour is a great way to start your stay in Hanoi. 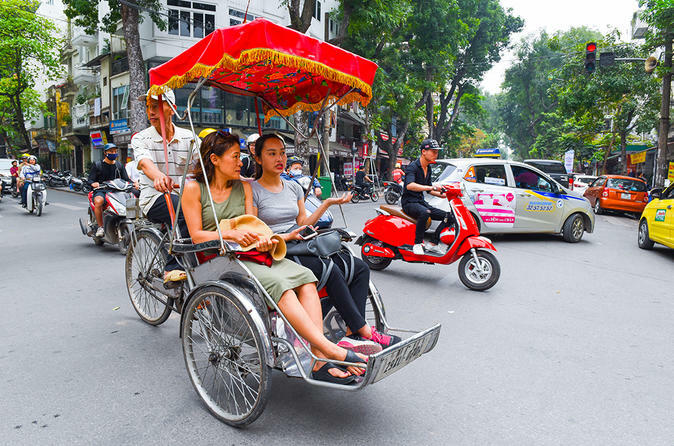 Local drivers take you around Hanoi's popular and historical sights while you taste a large range of food and drinks. Visit parts of the city that you might never see, including some places that are inaccessible by car and hard to find on foot. Choose from four tour options to suit your preferences. 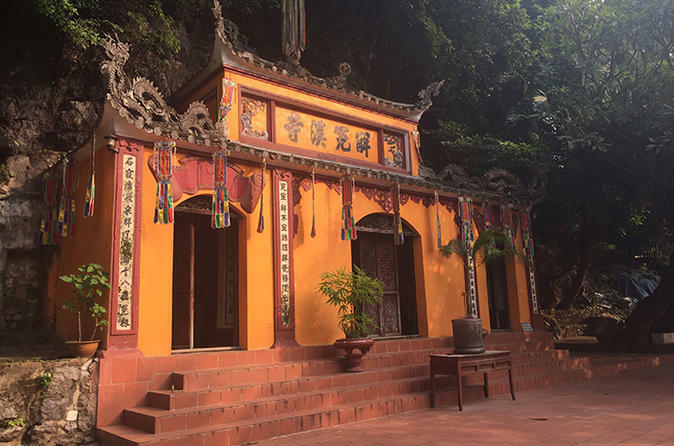 A worthwhile day trip to visit Bai Dinh Pagoda and take a sampan boat trip along Trang An River in Ninh Binh, a beautiful province which features a multitude of attractions within a short distance. 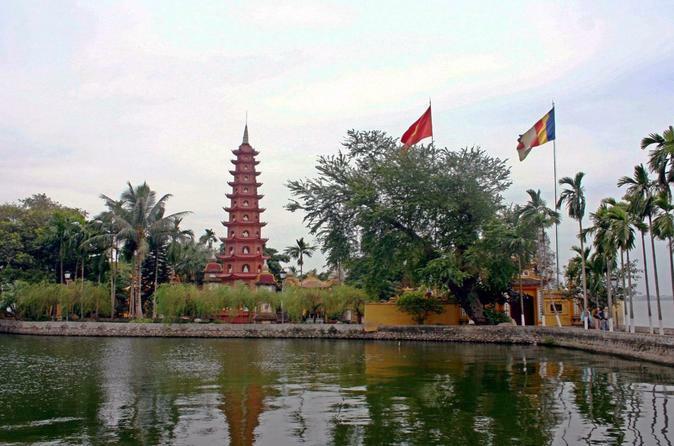 Bai Dinh is the largest pagoda complex with hundreds of Buddha statues and also a venerated destination for pilgrimages in Vietnam while Trang An River is the center of Trang An Complex - UNESCO World Heritage. 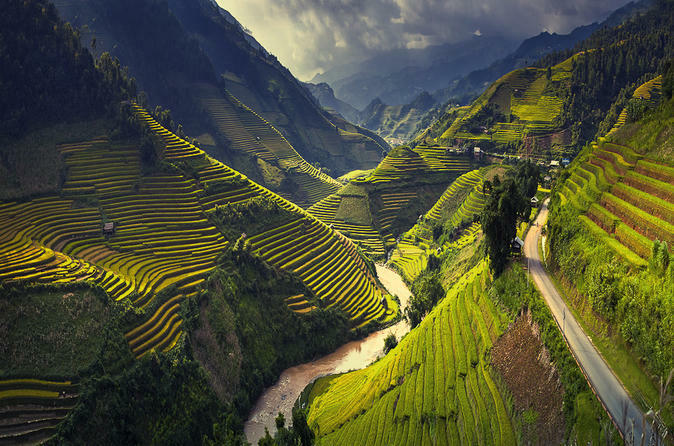 Take this trip and you will learn more about the influence of Buddhism on the culture and witness the unbelievable beauty of nature landscape of Vietnam. 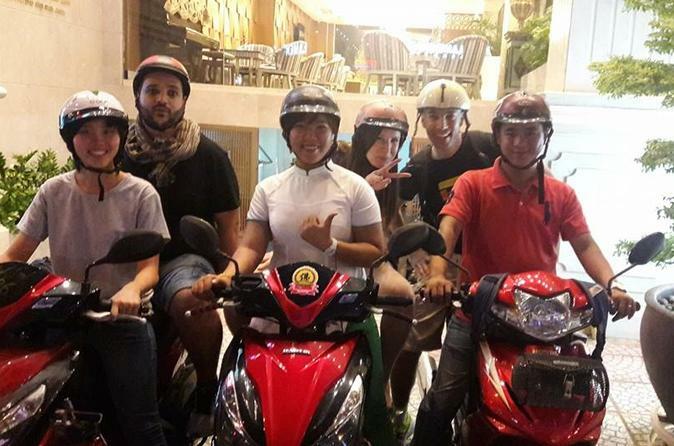 Soak up the electric atmospheric of Hanoi, Capital of Vietnam, at night and sample the city’s famous street food on this 4.5-hour evening tour by motorbike. Learn about local cuisine and culinary traditions from your guide as you zip around the city and fill up on delicious barbecue meats, noodles, and sweet desserts. Hotel pickup and drop-off is included. 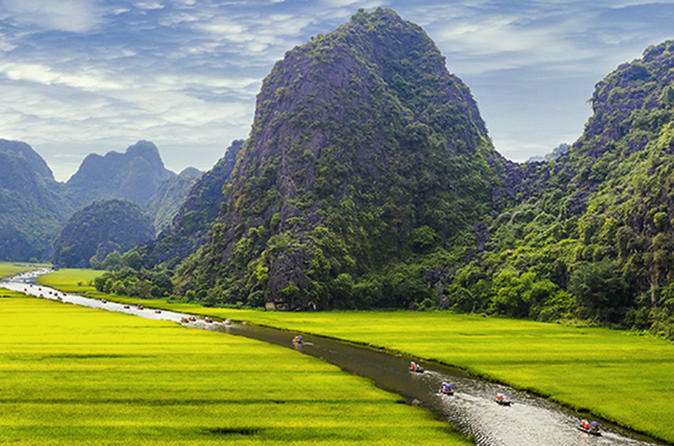 Enjoy a cultural journey through the Ninh Binh region of Vietnam on a full-day tour from Hanoi. 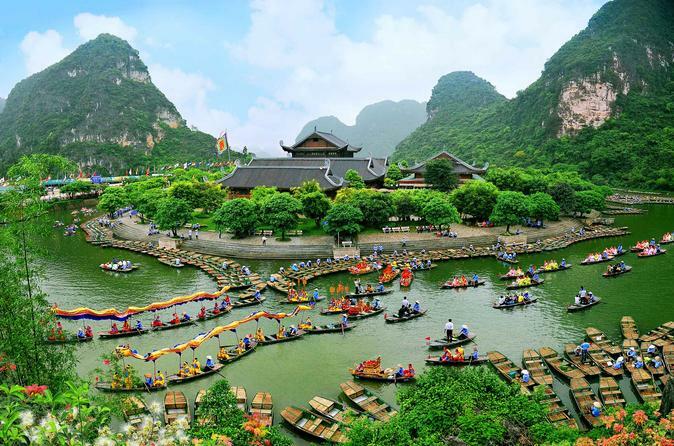 Visit Hoa Lu, the ancient capital, and learn historical facts. 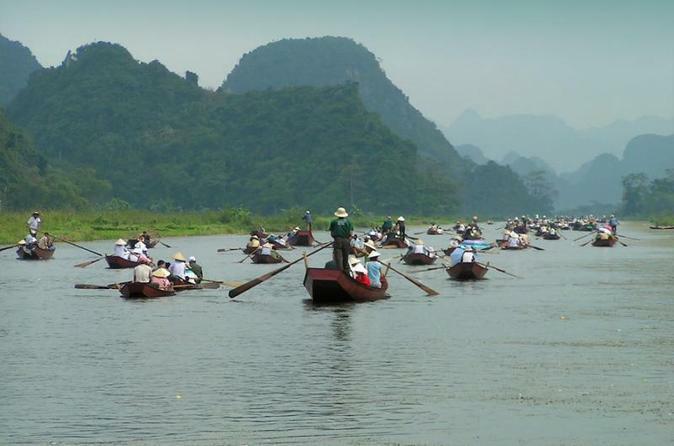 Stop for a local lunch of goat meat, then ride a boat to visit the 3 limestone caves of Tam Coc. 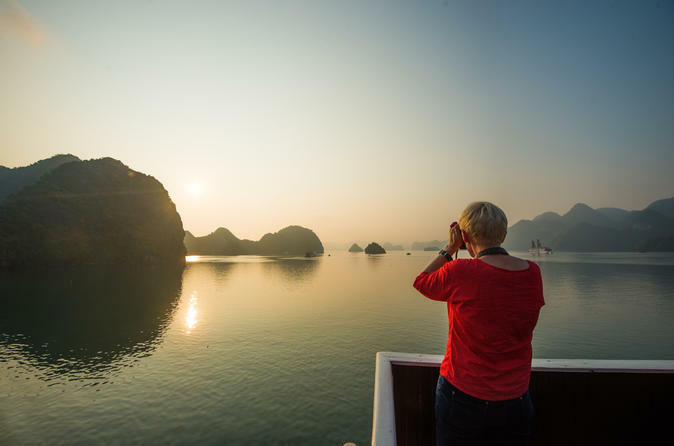 A two day, one night cruise to Bai Tu Long Bay is an ideal way to discover the natural beauty and local life on a limited time schedule. You will get to visit an enchanting cave, enjoy the sand, and take part in cooking class. This trip takes you deep into natural wonder to experience a memorable experience and relaxing night on the majestic bay. 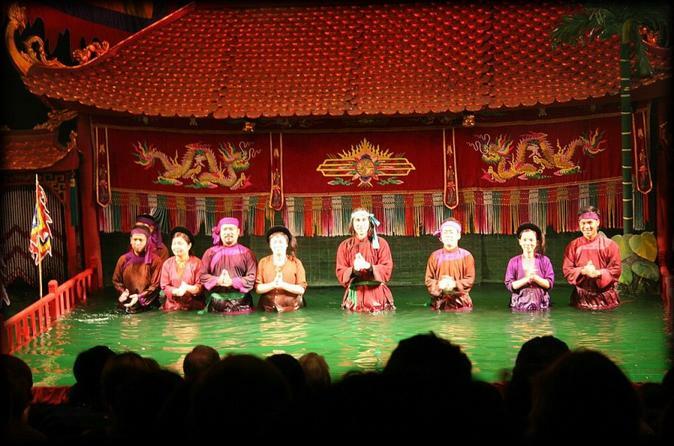 See a water puppet show at a Hanoi theater followed by a delicious buffet dinner featuring a variety of Vietnamese dishes. You’ll glimpse Vietnam’s past as you watch these wooden puppets come to life on the water’s surface on stage, then choose from a selection of mouthwatering plates at Sen Tay Ho restaurant. 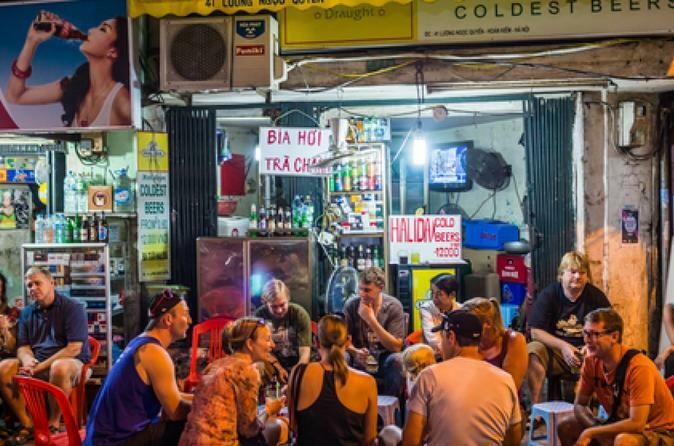 Explore Hanoi by night with a brief stop at a local market before the cultural show begins! Numbers are limited to eight people, ensuring an informative experience with a small group. 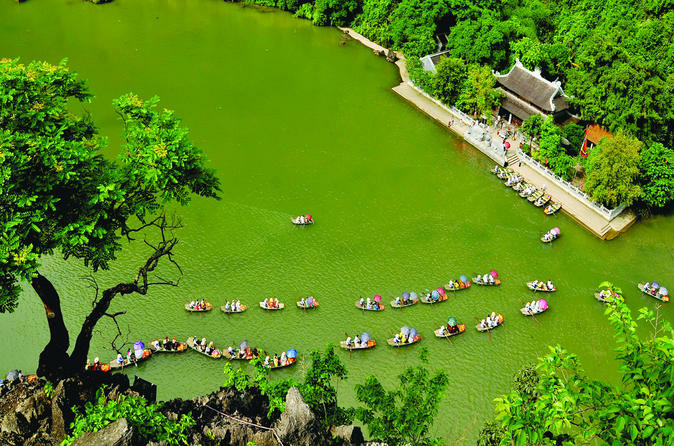 From the rich history and charm of the Old Quarter and Ho Chi Minh Mausoleum to the relaxed atmosphere around West Lake, you will see all parts of Hanoi in the allocated time at a safe, relaxed pace. The tour will give you a wonderful perspective of the city’s most popular and historic sights and you will have many of opportunities to get off the motorbike and take lots of photos. 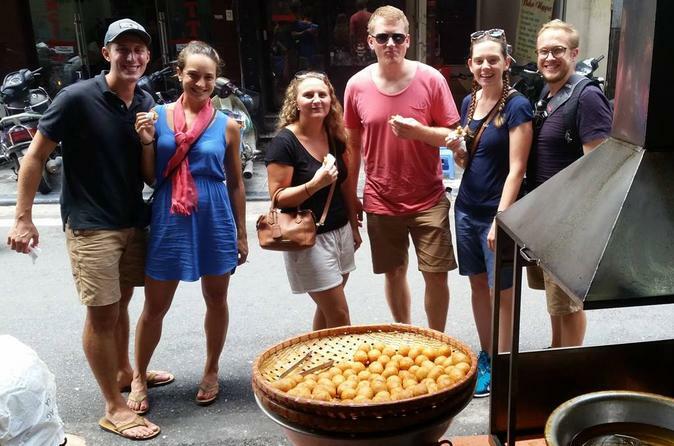 Taste local specialties on a 3-hour street food tour of Hanoi’s charming Old Quarter. 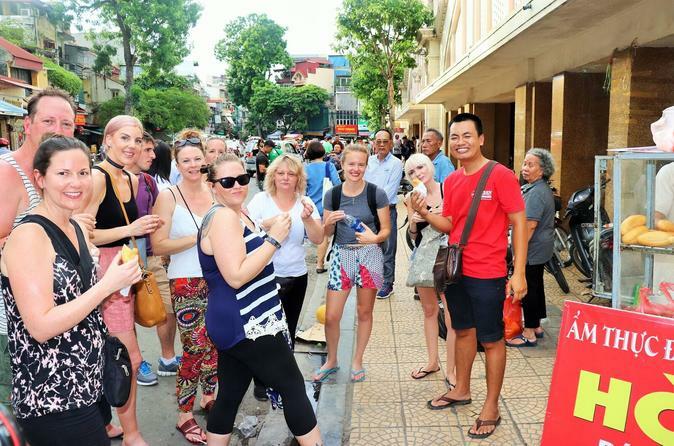 During your walking tour you’re introduced to Vietnamese cuisine with French and Chinese influences. Set out in the morning or evening with a professional guide to explore winding streets and lively markets teeming with food stalls and unique eateries. Stroll to Hoan Kiem Lake and sit down at hidden cafes, where you can try egg coffee, among other treats. For those who admire the iconic Vietnamese motorbike and lack the time for a city discovery trip, this half-day Hanoi motorbike tour is an ideal option. 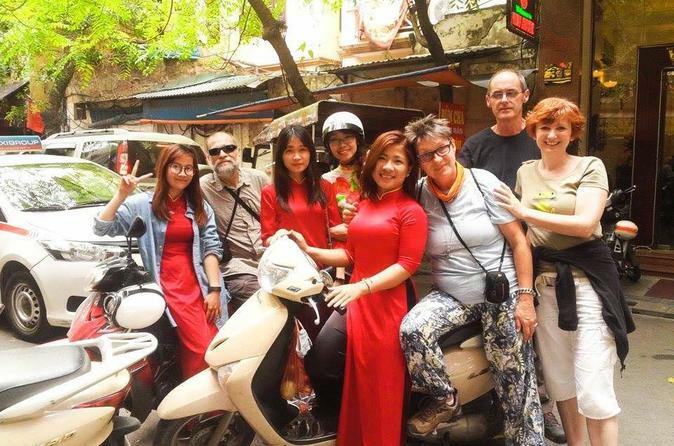 Take a chance to explore Hanoi in a unique and fascinating way to become familiar with Hanoi’s Old Quarter, to experience Hanoian daily life, and try some awesome local foods which have never been catered in any luxurious and modern restaurant. Give it a try, you will never regret! 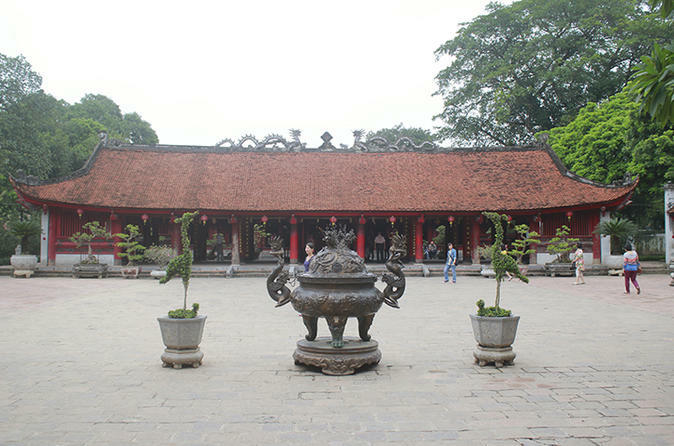 Enjoy a full-day tour from Hanoi to the Perfume Pagoda, one of the most sacred places in Northern Vietnam. Admire the spectacular scenery as you drive through the countryside, then paddle through lush paddy fields along the Yen Stream. Join a 4-hour Vietnamese cooking class in a purpose built training kitchen at the Hanoi Cooking Centre. 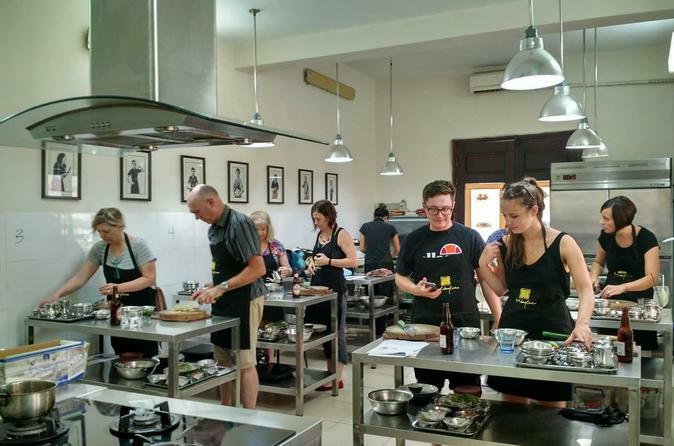 Walk with your chef through the bustling local market then return to the centre and pair-up with another guest to enjoy a 2.5 hour hands-on class with unlimited beer, wine and soft drinks. On completion of your class move to our on-site restaurant and savour the dishes you prepared with unlimited beer, wine and soft drinks and receive your souvenir gift. 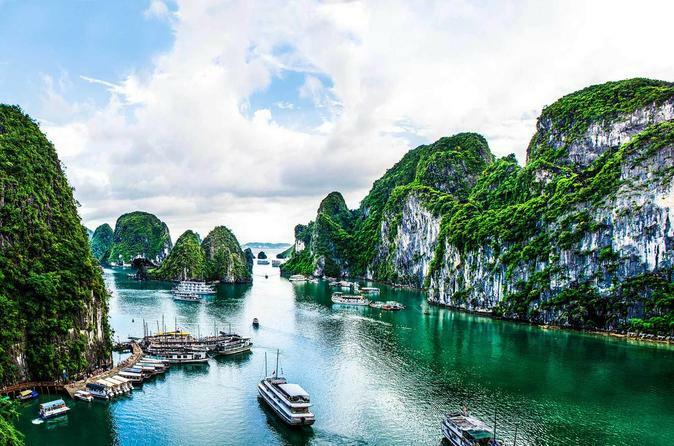 Departing daily from Hanoi, this is a full-day all inclusive tour to Halong Long Bay, the iconic nature wonder of Vietnam with thousands of islands and islets. Top-quality service, friendly guide, and great lunch are guaranteed! 4 - 4.5 hours of cruising in the bay with different activities. Sightseeing many islands and islets in the bay. Explore one of the most beautiful caves in Halong, Heavenly Palace Cave. 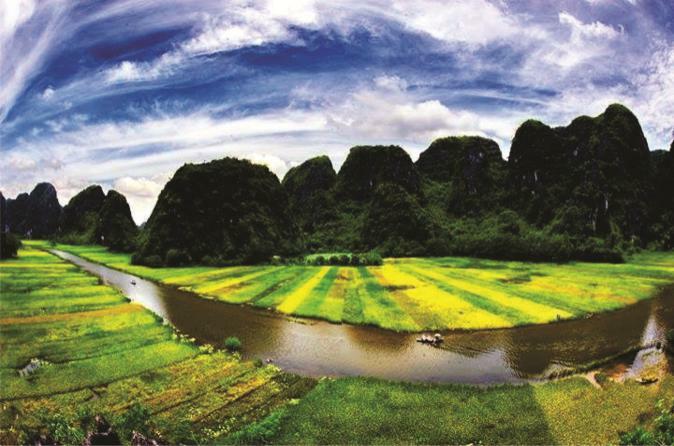 Go Kayaking or take a bamboo boat ride to explore Ba Hang area and fishing villages. Lunch with delicious seafood including Halong's famous traditional fried squid cakes! A one-way drive between Hanoi and Halong takes around 3.5 hours. Inclusion: Entrance fees, cruise, kayaking/bamboo boat trip, English-speaking guide and Vietnamese seafood lunch. This day trip leads you to the famous Halong Bay and through the most attractive areas of the Tonkin Golf. The well-designed cruising route offers you an excellent opportunity to see the most beautiful high points, in and around the water of the World Heritage site, in a very relaxed way. Witness the tranquil beauty and breathtaking scenery from sundeck of a comfortably traditional junk, from which you can enjoy the bay landscapes, the serene floating village which are slowly passing by. Once there, you will enjoy cruising along the bay, while enjoying tasty lunch and drink on the deck, before returning back to Hanoi. Halong Bay is a spectacular natural wonder. The dramatic scenery dotted with islets makes this an excellent semi-sheltered, open water location for kayaking. 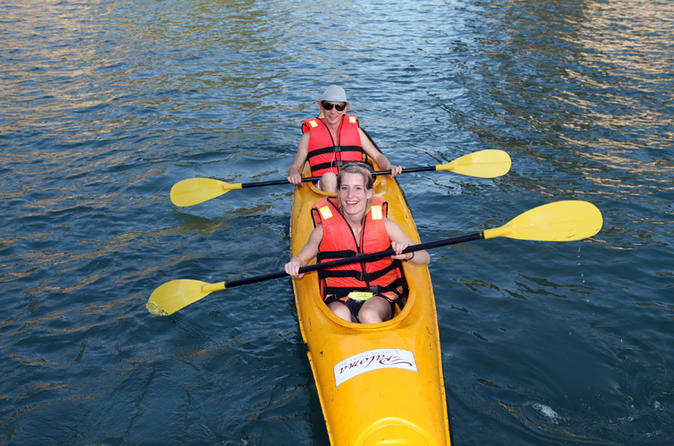 This day trip is ideal for keen novice and experienced kayakers alike. This Halong full-day group tour will surely leave you with unforgettable travel memories from Halong Bay. 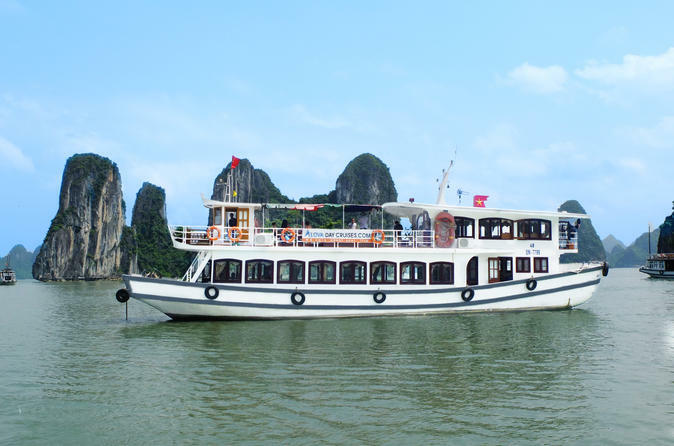 This 4-star cruise in Halong Bay is proud to welcome you on-board one of its luxury boats for your dreamlike Viola Cruise in Halong Bay! 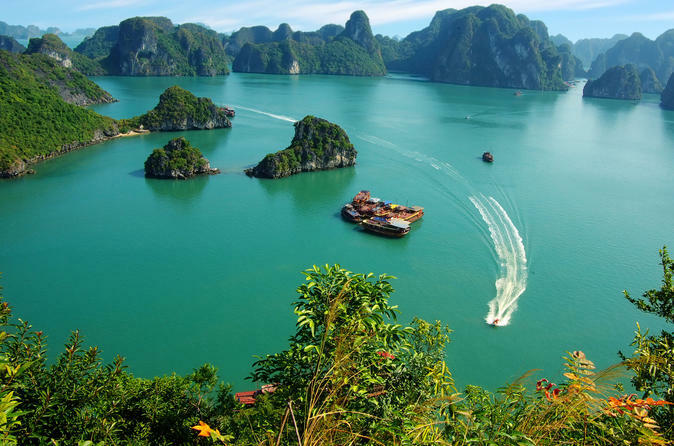 Enjoy a 2-day tour of the beautiful UNESCO World Heritage Site of Vietnam’s Halong Bay. 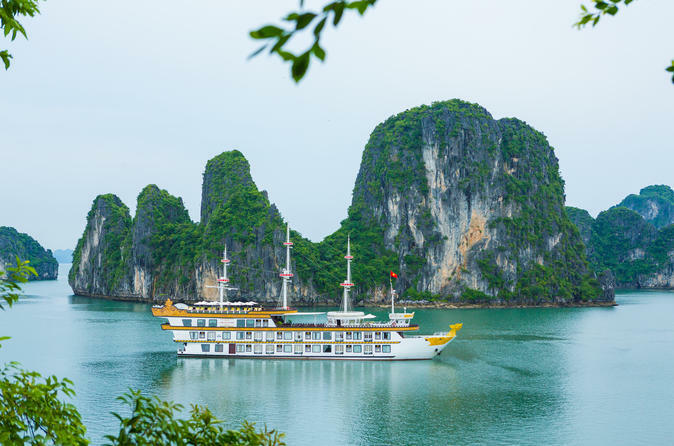 Cruise among the stunning karst rock formations, sample delicious seafood suppers, and get a cookery demonstration of traditional Vietnamese cuisine. Relax on board, or snorkel, kayak, and swim in refreshing waters. You will sleep on board an atmospheric junk ship, and sail past delightful floating villages. 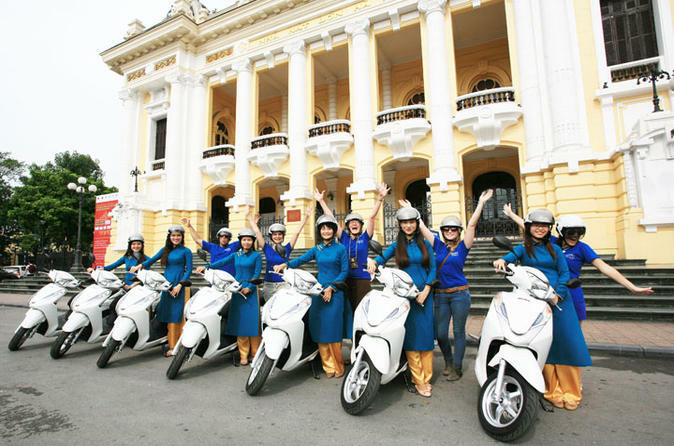 Join this tour for the opportunity to experience a full-day out to Halong. 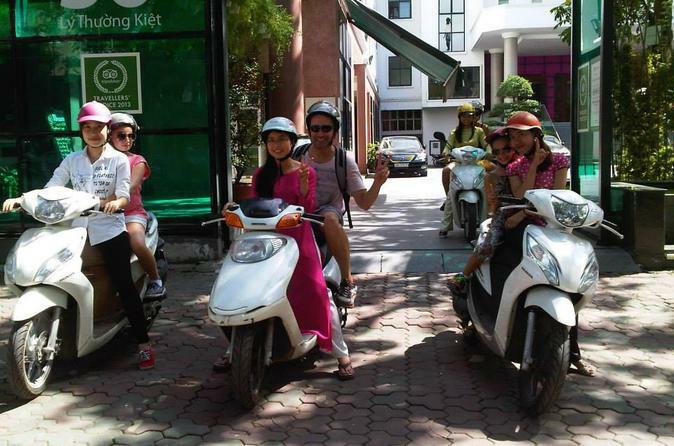 With a convenient transfer of 4 hours, you’ll reach Halong by midday. You will have the day free to sail around the bay and enjoy the magnificent beauty, enjoy a cool swim, or simply just relax on the sundeck with seafood and drink. 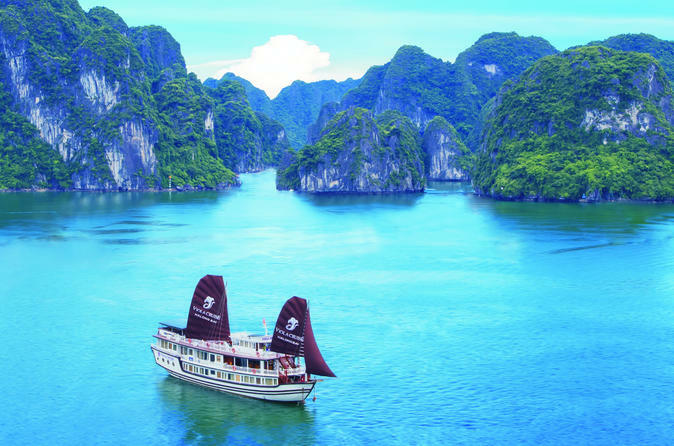 Take in the sights of Hanoi and enjoy an overnight cruise on Halong Bay on a four-day excursion from Hanoi. 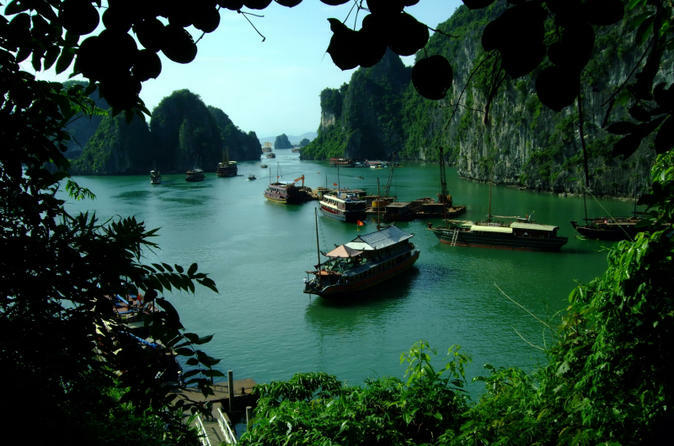 Visit Hanoi’s market and Ho Chi Minh sights, and spend the night on the exquisite waters of Halong Bay. This private tour ensures you’ll receive personal attention from your expert guide. 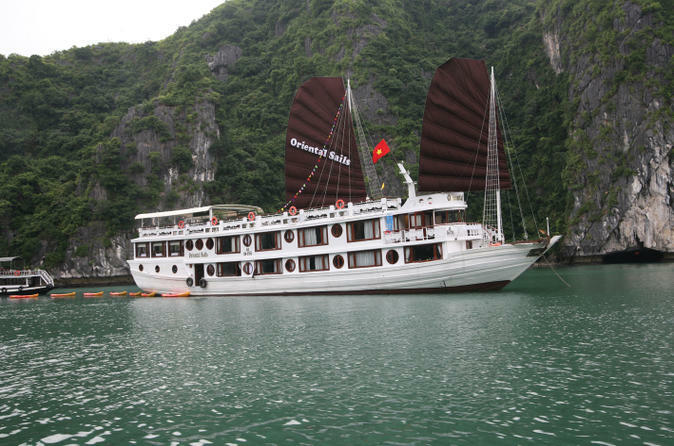 Choose from three-star or four-star hotel accommodation for all three nights, including one night on board a luxury junk on Halong Bay. Enjoy this private day tour visiting mysterious Pagodas and cruise through winding streams with beautiful caves and a stunning limestone mountain backdrop. Perfume pagoda is "the most beauty pagoda under Vietnams sky“ and has the magic legend about the “Buddha lady“ who represents Buddhism in Vietnam.